(CNN)–Wheaton College, the most prominent evangelical higher education institution in the United States, has filed a lawsuit against the Obama administration over a mandate to provide contraceptive coverage. The Illinois school joins Catholic counterparts Catholic University and the University of Notre Dame in filing suits to stop a Health and Human Services mandate to provide birth control coverage to their employees. The move is significant because the new evangelical opposition to the policy—coming not just from Catholic institutions - could have election-year political fallout. The HHS mandate requires employers to provide free contraception coverage to their employees. Although the plan exempted churches, other religiously affiliated employers, including colleges and hospitals, were not exempt. In the face of that opposition, the Department of Health and Human Services tweaked its original rule in February to require health insurers, not employers, to cover the cost of contraception coverage, reasoning that would prevent religious groups from having to finance such coverage. Despite the change in policy many of those groups have said the mandate remains a violation of their beliefs against contraceptives. Catholic teaching forbids the use of any contraceptives. 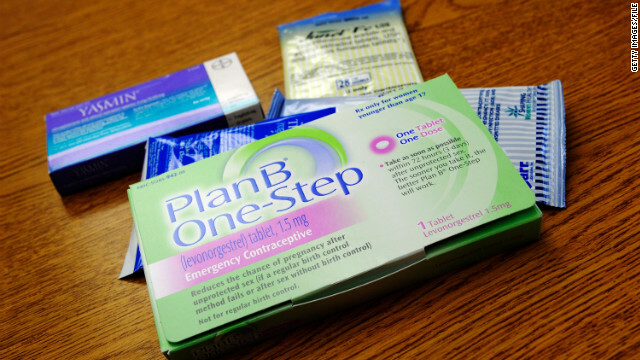 Many evangelicals do not oppose the use of contraceptives, but believe life begins at conception and say some contraceptives, like emergency contraceptives, induce abortions. The government mandate covers all forms of FDA approved contraceptives and the administration has said time and again they felt the policy and its exceptions "struck the right balance" on religious freedoms and providing health care for people who need it. The suit was filed Wednesday in the United States District Court for the District of Columbia for the college by the Becket Fund, the same law firm that is representing multiple lawsuits against the HHS policy. In their filing attorney's wrote the mandate, "runs roughshod over Wheaton’s religious beliefs, and the beliefs of millions of other Americans, by forcing it to provide health insurance coverage for abortifacient drugs and related education and counseling." Should the university not abide by the new mandate they are subject to fines. While many religious groups were provided an extension of one year to adhere to the mandate, Wheaton said because of technical reasons with their insurance provider they were ineligible for that extension. The lawsuit is seeking, "declaratory and injunctive relief to protect against this attack." Wheaton College is known as the premier evangelical Christian college in the United States. It counts Billy Graham and former speaker of the House Dennis Hastert as alumni. The school has 2,400 undergraduates. The school said the timing of the lawsuit stemmed from the fall semester rapidly approaching. "I’ll welcome my first freshman in two weeks,” Ryken said. We're already needing to figure out how we're going to provide insurance coverage this academic year." On the call, Ryken, who was joined by his counterpart John Garvey the president of Catholic University, pushed back against assertions the timing of the lawsuit was politically motivated, coming in the midst of a heated presidential campaign. Garvey added he saw this as an issue for both parties. "Religious freedom is something we hope Republicans and Democrats will be attentive to," he said. “Wheaton College is not a partisan institution,” Ryken added. “The effect of our lawsuit on the political process played no role at all in any our discussions with our board of trustees on the issue." Oddly enough, this article fails to mention that Wheaton College's existing health insurance plans for its students ALREADY included coverage for contraceptives. When filing for an exemption to the mandate, Wheaton College discovered this fact. They promptly dropped their existing plans in order to find plans that exclude contraceptives.